Youâre the owner of a trucking company, and itâs time for expansion through the purchase of new equipment, hiring of new employees, or improvements to your facilities. The good news is that this means your business is growing. The bad news? That growth comes at a price, and the costs may be too much for your bank account. Or maybe your situation is different. An unexpected emergency has cropped up, and you feel trapped. Youâve crunched the numbers, and it looks like youâre facing a major financial hurdle. How do you handle this financial crisis? Whether youâre growing quickly or life has thrown a curveball your way, you need extra money. Instead of clearing out your checking account, itâs time to consider a financial option that many smart business owners take advantage of every day: a business loan. A business loan is a great way to expand your trucking business or get you out of a financial bind. The key is to know what type of loan best fits your needs, is the most affordable, and provides the greatest return on investment. Whether you own a large trucking business with multiple drivers or youâre an owner-operator with one vehicle, read on to learn more about the loan options available for your business. Low-cost loans offered by the Small Business Administration in partnership with financial institutions. Can be used for most business financing purposes. Loans used to purchase equipment such as semi-trucks. Traditional term loans that can be used for most business financing purposes. Credit lines from which the business can draw funds at any time, without going through an application process. Used for working capital or other short-term needs. Quick business loans used for working capital or other short-term needs. Small business credit lines used for everyday business expenses such as fuel and maintenance costs. Business owners with high credit scores who need to make a large purchase with affordable monthly payments. The Small Business Administration offers several programs that provide funding for trucking companies. SBA loans are backed by the government, opening up new financing opportunities for small businesses that donât qualify for conventional business loans. The SBA 7(a) loanÂ program is one of the SBAâs most popular offerings. With a 7(a) loan, borrowers can receive up to $5 million to be used for almost any business purpose, including the purchase of equipment or machinery, real estate or land purchases, or even acquiring another business. If you run a smaller trucking operation or youâre an owner-operator and you have an expense that requires $50,000 or less, the SBA microloans program may be an option for you. The average loan distributed through this program is $13,000. Funds can be used toward the purchase of machinery or equipment, working capital, or supplies. Interest rates for the 7(a) loan program are set at the prime rate plus a maximum markup of 4.75% based on the amount of the loan and the repayment terms. Currently, interest rates fall between 7.5% and 10%. Interest rates can be fixed or variable. Repayment terms are up to 10 years or 25 years for real estate purchases. A down payment of 10% to 20% is typically required. Intermediary lenders can charge various fees for a 7(a) loan, including origination fees, loan packaging fees, and guarantee fees up to 3.5%. Veteran-owned small businesses can apply for the Veterans Advantage loan, which offers the same rates and terms as the 7(a) program but with reduced guarantee fees. On average, interest rates for SBA Microloans fall between 8% and 13%. The maximum repayment term for this type of loan is 6 years. Lenders may charge fees for a microloan such as application fees, loan processing fees, and closing costs. To qualify for an SBA loan, a borrower should have a credit score of at least 680. The borrowerâs credit report should be free of bankruptcies, foreclosures, and past defaults on government loans. The borrower must be an owner of a for-profit business that is based in the United States. All borrowers must also meet the guidelines for a small business as defined by the SBA. This limits the number of employees, net worth, and annual revenues of the business. Borrowers must have a legitimate purpose for taking the loan, and they must have exhausted all other options before applying for an SBA loan. Both startups and established businesses are eligible for SBA loans. All borrowers will be required to sign a personal guarantee. SBA 7(a) loans are available through SBA intermediary lenders. These lenders could be banks, credit unions, or private lenders. The SBA offers its Lender Match tool which matches you with a lender in your area. You can also apply online through a service like SmartBiz. SBA microloans are available through participating non-profit organizations. Businesses that need to purchase expensive equipment (including a new or used truck) but don’t have the money to buy it outright. An equipment loan is exactly what it sounds like: a loan that is used to purchase equipment. In the trucking industry, this could mean the purchase of a new or used truck, a trailer, or other long-term physical assets that are necessary for operations. This type of loan allows you to break down the cost of expensive equipment into smaller payments that are easier to manage. Equipment loan terms and rates vary based on the lender selected, the amount of the loan, and the creditworthiness of the buyer. The most qualified buyers may be eligible for interest rates as low as 5%. However, applicants that face challenges, such as a low credit score, may be stuck with an interest rate of 24% or higher. The average repayment terms are between 3 and 7 years. Fees that may be associated with taking out an equipment loan include origination fees and administrative fees. Down payment requirements also vary. Borrowers with very high credit scores and a long time in business may qualify for 100% financing with $0 down. Other borrowers may have to pay an average down payment of 10% to 20%. Even if you qualify for 100% financing, itâs usually a smart move to put some money down for your loan. This will reduce your amount of debt immediately and can also help prevent a situation where the equipment becomes obsolete before youâve fully repaid the loan. There is typically no additional collateral required, as the equipment being purchased with the loan serves as the collateral. One of the benefits of equipment loans is that there are options available for everyone, even if you have a low credit score or havenât been in business for very long. It should be noted that borrowers with these challenges will face higher interest rates, increased down payments, and an overall more expensive loan. Equipment loans are available to borrowers with credit scores as low as the mid-500s. Time in business requirements vary, but most lenders require at least 6 months in business, although there are other options for startups and new businesses. Borrowers must use the loan funds to purchase eligible equipment. As previously discussed, a down payment may also be required in order to receive the loan. There are two types of equipment financing you may consider: equipment loans and equipment leases. The type you choose is based on the specific needs of your business. With a loan, youâll make scheduled payments that go toward the principal balance and interest. This is a smart option if you need equipment but donât want to foot the entire bill immediately. Although this ultimately costs more than an outright purchase, it allows you to make lower, more affordable payments. Once all payments have been made, the equipment is yours. If you plan to keep your equipment for many years, this is the best option for you. When you lease equipment, youâre essentially renting from the lender. You make payments each month to be able to use the equipment. Once your lease is over, youâll return the equipment and can upgrade to the latest model. In some cases, you may be able to pay the remaining balance if youâd like to own the equipment outright. With leases, monthly payments may be more affordable and itâs possible to find leases that donât require a down payment. However, the total cost of the lease typically winds up being more expensive than loans due to higher interest rates. Leases are a good choice for you if you need to upgrade your equipment frequently to have the latest and greatest model. It may also be an option if you donât have the down payment required for an equipment loan. Businesses that need funds to purchase equipment, refinancing existing debt, or use as working capital. A medium-term installment loan is a loan that is paid off over a period of 1 to 5 years. With this type of loan, you can break down the cost of a purchase or receive working capital while repaying with low monthly payments. Medium-term installment loans can be used for any business purpose. These loans can be used for the purchase of new equipment. You can use the funds for working capital. Loan proceeds can be used for business expansion or acquisitions. You can even use these loans to refinance existing debt. Loan terms and fees vary by lender and creditworthiness. Borrowers with the highest credit scores can receive loans with rates of about 6%. Borrowers with lower credit scores may receive interest rates up to 30%. Typical fees you may be required to pay to receive a medium-term loan include application fees and origination fees. Collateral may be required based on your credit score and the amount of the loan. A personal guarantee or blanket lien is typically required. Although medium-term loans may have higher interest rates and be more expensive than long-term options, qualifying is not as difficult. To qualify, you should have a minimum credit score of 600 with at least $100,000 in annual revenue, although these requirements may vary by lender. Businesses that want access to capital on demand. A business line of credit is similar to a credit card. A borrower has a credit limit set by the lender and can make multiple draws as needed up to and including the credit limit. The money can be used for any business expense, from unexpected emergencies to covering operational expenses or purchasing equipment. With a business line of credit, you only pay interest and fees on the borrowed amount. For example, if you have a total credit line of $200,000 but have only spent $50,000, youâll only pay interest or fees on the $50,000. Fees and interest vary by lender and range from 1% to over 30%. The more creditworthy you are, the better rates you will receive. Repayment terms also vary, but most lenders offer terms of 6 months or 12 months depending on the amount borrowed. Some lenders may offer longer repayment terms. However, itâs wise to pay off your balance as quickly as possible to avoid unnecessary fees and interest and lower the overall cost of your loan. Eligibility for lines of credit varies by lender. Some lenders, such as banks, may require credit scores in the 600s to qualify for a line of credit. Alternative lenders typically have much lower requirements. Some of these lenders do not have credit score requirements at all, and instead, look at the performance of the business to determine eligibility and maximum credit limits. 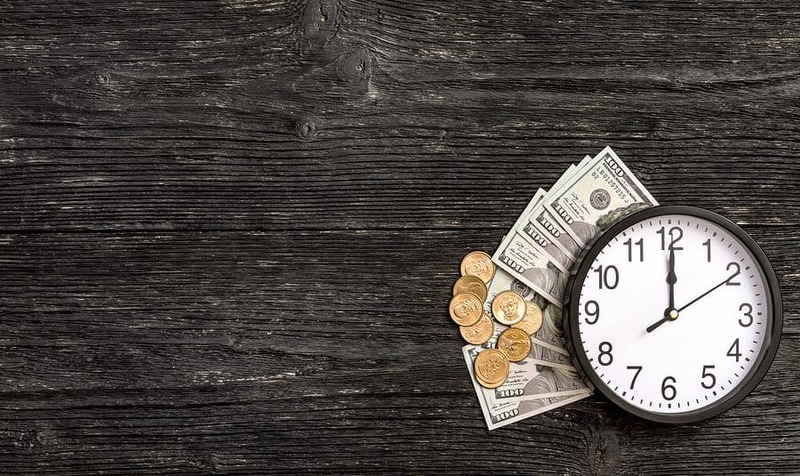 Time in business requirements may be as low as three months, while annual revenue requirements may be $50,000 or less, depending on the lenderâs policies. Business owners that are forced to cover emergency expenses. Short-term business loans are loans that are paid back over a very short period of time. This period of time varies, but it will not exceed one year. Short-term loans are one of the most expensive forms of credit, so it is best to only use these loans when absolutely necessary. Because funding is fast (potentially as short as 24 hours), a short-term loan is best for emergency situations when time is of the essence. Borrowers that have not been in business long or have low personal or business credit scores may have no other options than to seek a short-term loan. If this is the case, the return on investment should be calculated to determine if the loan is worth the high cost. Terms and fees for short-term loans vary by lender and creditworthiness. Most short-term loans come with a factor rate that determines the total amount that will be repaid. Learn more about factor rates for short-term loans and how to calculate repayments. With other short-term options, borrowers with high credit scores may find short-term options with interest rates below 10%. However, borrowers that are viewed as âriskyâ by the lender may be hit with interest rates up to 80%. Repayment terms vary. For some short-term loans, the full loan is repaid within a few weeks. For other loans, the amount is repaid up to a year. Repayment schedules may be daily, weekly, or monthly. For short-term loans, some fees may be required, including origination fees and maintenance fees. A personal guarantee or blanket lien is typically required. Qualifying for a short-term loan isnât difficult. There are loans available to borrowers with credit scores as low as 500. Some lenders also have very low monthly or annual revenue requirements, as well as shorter time in business requirements. Covering emergencies that require immediate funding or for recurring expenses, like fuel purchases. When used responsibly, a business credit card can be an enormous asset to a trucking business. A business credit card offers a revolving line of credit that can be used any time itâs needed. This is especially helpful when an emergency arises. Business credit cards can also be used to earn rewards on your business’s recurring expenses, such as gas to fuel your rigs. However, even though you can use your credit card whenever you want doesnât mean that you should. The interest rates on credit cards can really stack up, and you could end up paying hundreds (or thousands) of dollars in interest over time. Keeping high balances can even lower your credit score due to high credit utilization. However, with responsible use that includes paying off (or paying down) your card each month, youâll even be able to boost your credit score while having access to extra capital when you need it. In addition, many credit cards offer rewards programs that allow you to earn points or cash back after every qualifying purchase. Like other types of loans, terms and fees vary based on the lender and creditworthiness of the borrower. Interest rates typically start around 14% and rise to over 25%. Many cards have introductory APR offers of 0% for qualified borrowers. 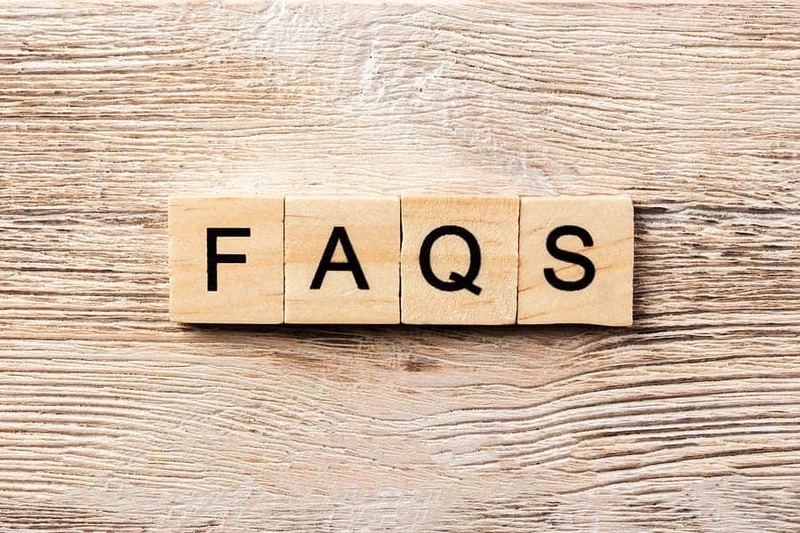 You may have to pay fees based on the card that you select, including annual fees, foreign transaction fees, cash advance fees, and balance transfer fees. Some lenders may also charge fees to issue employee cards. To qualify for the best interest rates, borrowers should have a credit score at least in the high 600s. Lenders will evaluate your income and your business revenue to determine your credit limit. You will also need a federal tax ID. If youâre a sole proprietor, you will be required to give your social security number. If you have bad credit or revenue challenges, you may qualify for a card with a higher APR or a secured card. A secured card will require a refundable cash deposit before it is issued. As you use your secured card responsibly, your credit limit will increase and you may become eligible for an unsecured card. 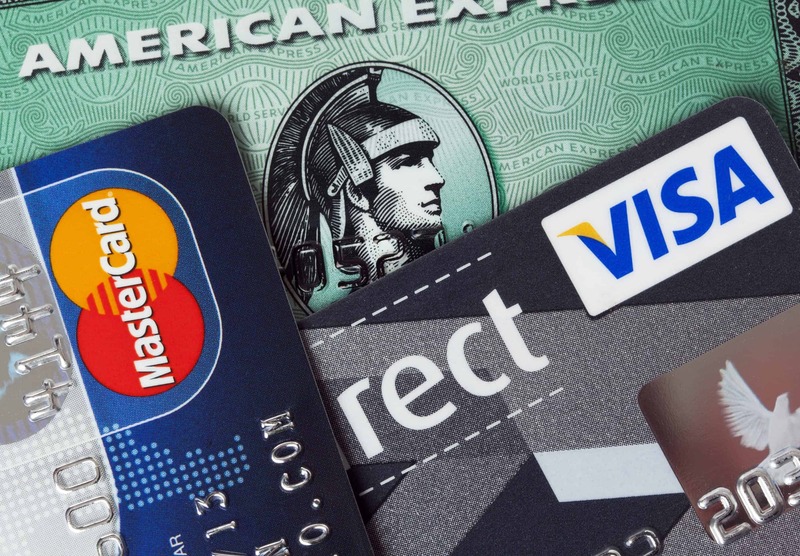 The first place to look for a business credit card is at your own bank or credit union. However, if your financial institution does not offer this product or you fail to qualify, you can apply online with other credit card issuers. Learn more about the top business credit cards or check out the cards below, which are perfect for new business owners. Can I get a trucking business loan if I have bad credit? If you have a lower credit score due to past mistakes, there are still loan options available to you. While higher credit scores are required for SBA loans, borrowers with poor credit can qualify for other loans, including short-term options, lines of credit, and business credit cards. In order to get the most affordable loan and the best repayment terms, itâs best to go into the application process with a solid credit score. If possible, take steps to rebuild your credit before applying to lower your financing costs. I am an owner-operator. What are my best business loan options? As an owner-operator, there are several business loan options available for you. For the purchase of a truck, you should consider equipment financing. You may also be able to qualify for the SBA Microloans program, which provides up to $50,000 in financing for expenses. Short-term loans, lines of credit, and business credit cards are also available to you, but these typically come at a higher cost. Iâm starting a trucking company. Am I eligible for a trucking startup loan? What are my best options? There are many options available for trucking startup companies. The best option for borrowers with credit scores in the high 600s are loans from the SBA. SBA loans provideÂ low interest rates and flexible repayment terms for startups and established businesses. Because you wonât have traditional documentation like business tax returns and financial statements, your application will need to include a detailed business plan and future financial projections. Youâll also need to prove that you have industry experience in order to qualify. If you have a good credit score, you could also consider taking out a personal loan. With a personal loan, qualifying will be based on your own income and credit score, with no requirements for annual revenues, business credit score, or time in business. This is another affordable loan for borrowers that want to start their own business. Can I get a grant for my trucking company? Most businesses do not qualify for grants. If you find a grant that you are eligible for, itâs important to note that competition will be stiff. The process for receiving a grant also doesnât happen overnight, so if you need money for your trucking company fast, youâll want to explore other options, including the loans mentioned in this post or other options, such as P2P lending or crowdfunding. No matter what your financial needs, thereâs a loan available to help you start or expand your trucking business. The key is to understand your options, shop around, and determine if the return on investment exceeds the cost of the loan. Even if your funding needs are urgent, itâs critical to borrow responsibly to put your trucking business on the road to success. The post The Best Business Loans For Trucking Companies appeared first on Merchant Maverick.